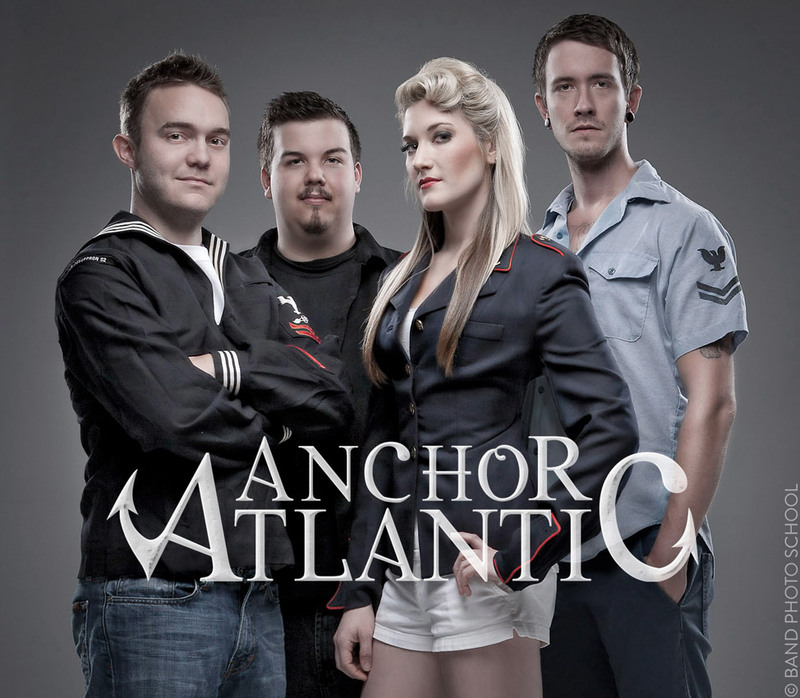 Shot in 2011 at Kelby Studios in Oldsmar, FL with my friend Matt Kloskowski, this image was created as a promotional piece for Top40 party band Anchor Atlantic. This image was lit with an Elinchrom Ranger Quadra inside a 5' octabank boomed overhead as key, and two stripboxes placed behind and to the sides of the band members for rim. The rim lights were about 1.5 to 2 stops hotter than the key. This image was processed in Lightroom and Photoshop by Matt Kloskowski.